The first song from Dharma Productions' magnum opus Kalank, 'Ghar More Pardesiya' stirred the nation not only because of the opulent costumes and grand sets or Shreya Ghoshal's lilting rendition of the semi-classical composition, but also because it saw Madhuri Dixit and Alia Bhatt sharing the stage for the first time. Reminiscing about filming the Kathak-heavy dance number, Alia Bhatt told Mid-Day that she found the pirouettes to be the most difficult part of the dance. 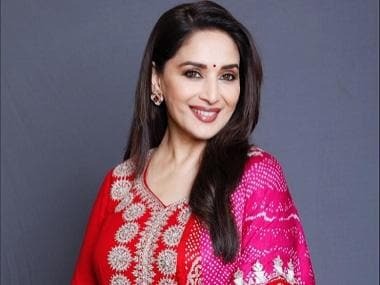 She added that while initially she was intimidated by the idea of sharing the stage with Madhuri, she was reassured by the veteran dancer throughout the filming of the song. "I was lucky that it wasn't a dance-off. Madhuri ma'am could sense my tension; she was constantly instructing me on how to conduct myself. She ensured I performed everything perfectly - from the expressions to the steps. The spins were the toughest part; the weight of the lehenga made it difficult to spin fast. I was worried about how I had fared, but once I finished the take, Remo sir gave me an okay. That was reassuring," she told the publication. Whereas an edited version of 'Ghar More Pardesiya' was unveiled on Monday, Alia added that a major portion of the track has been kept solely for the film.